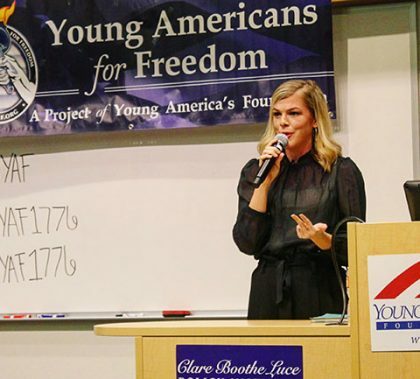 Allie Stuckey, whose blog is called “The Conservative Millennial,” drew a big crowd to Howerton Hall on Wednesday evening. While sharing her views about where progressives have gone wrong, she also urged Christian conservatives to gain more knowledge of the Bible and be better able to use it when they discuss their political beliefs. 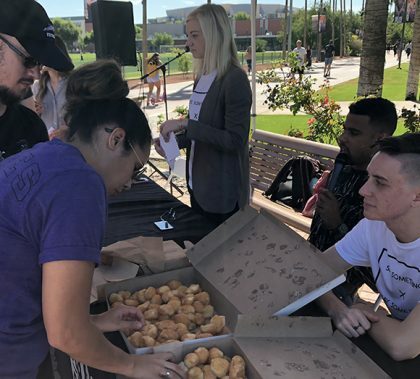 The GCU Recording Studio usually is a busy place, and part of the reason is the relationship that has been built with the high school community. 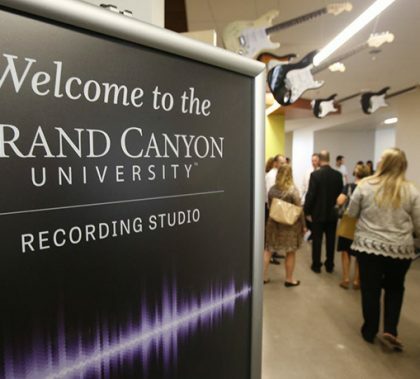 Concert bands, choirs, jazz bands and other musical groups have gotten an opportunity to come to the studio and make professional-sounding recordings, and Valley Christian Schools took it to the next level by turning it into a video. Dr. Howard Carlson, an adjunct GCU professor in the College of Education and the reigning Arizona Superintendents Association Superintendent of the Year, shares experience and insight in his new book, “Accelerated Wisdom: 50 Practical Insights for Today’s Superintendent.” Carlson, the superintendent of the Wickenburg Unified School District, shared several of the book’s main points in a question-and-answer session with GCU Today. “Why is There a Robot in My Operating Room?” We’re not sure why, either. 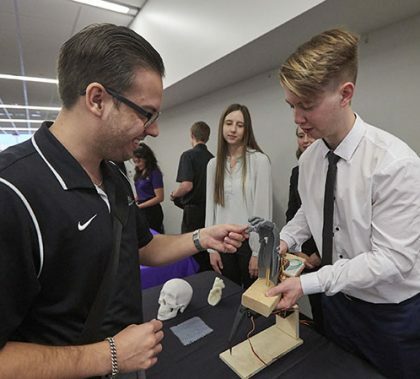 But high school students found out why on Health Sciences, Engineering and Technology Day, where they learned about biomedical engineering (the reason there’s a robot in your operating room), discovered “The Unseen but SHOCKING World of Engineering,” stopped by a suture station, toured the cadaver and DNA labs and more. 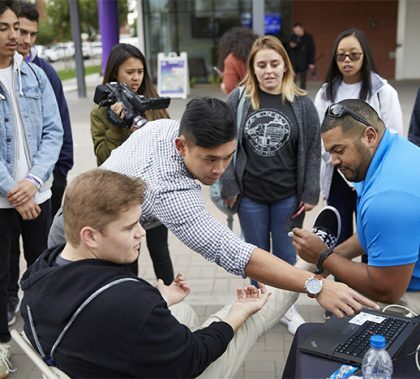 More than 950 high school students attended HSET Day Wednesday on the GCU campus. Albert Einstein introduced a whole new game in physics with his general theory of relativity, proposing new concepts of space and time. He imagined the existence of gravitational waves rippling through the fabric of space and time and saw black holes as bottomless pits of such gravitational intensity that not even light could escape from them. His concept about gravitational waves is something he said existed, but he didn’t think it could be proved. Then in 2015, the Laser Interferometer Gravitational-Wave Observatory (LIGO) detected two black holes colliding 1.3 billion light years away, confirming Einstein’s theory about gravitational waves. 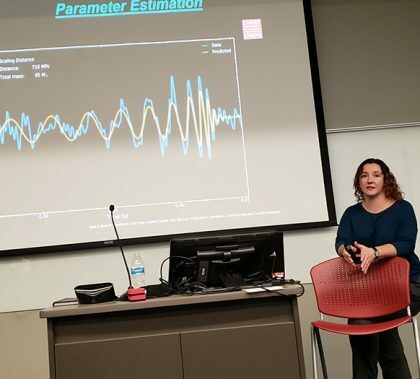 Amber Strunk spoke about the engineering marvel that is LIGO recently to students in the College of Science, Engineering and Technology. 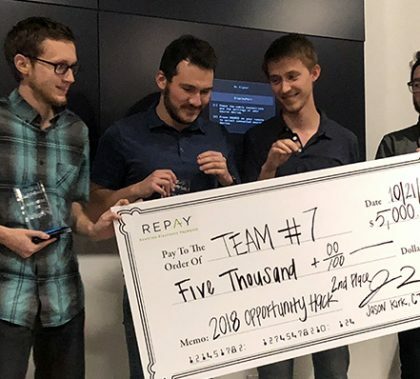 Why I write was the question. 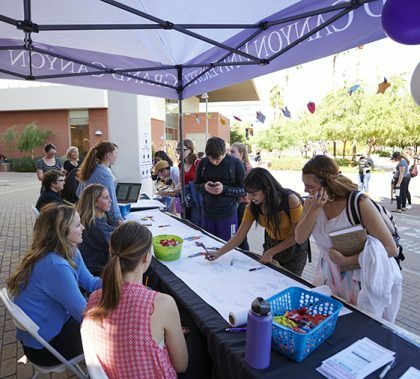 The array of answers demonstrated the need for the question: “To relieve my stress and reconnect with myself” was one reply, along with “To show others that they are not alone.’’ The GCU community offered hundreds of answers at the National Day of Writing Celebration near the Promenade. 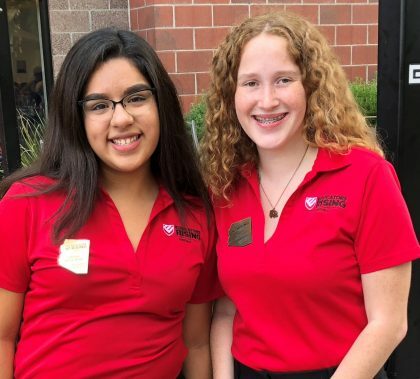 Faculty and students, including the campus chapter of the National Council of Teachers of English (NCTE), Friends of the Pen, and the Professional Writing Workshop sponsored the event.